Down by the river in the heat of the day the crocodile sleeps and awaits his prey. Watch out, animals! Mean croc’s about! And he’s got one thing on his mind — DINNER! Click here to read more about Patricia Mullins. Gail Jorgensen is a children’s book writer and primary teacher from South Australia. 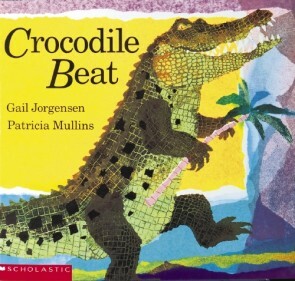 She has written a number of books including Crocodile Beat (1987), Gotcha! (1995), Beware! (1988), On a Dark and Scary Night (1988), and Bubble Gum (1988).